Introducing the investment bags all the chicest stars are dangling from their arms! Below, we indulge you with a lightning-quick roundup of their clear favorites—and we can easily predict that these are going to win spots on your wish lists, too. Peruse, then shop! 1. Heart Evangelista's always had a thing for Hermès Birkins—we all know she even loves painting on them—but this sweet mini version is one of our faves from her vast collection. 2. All (heart) eyes on Kim Jones' Louis Vuitton Petite Boite Chapeau! Its round shape combined with the trendy-again signature logo-splashed leather is divine. 3. Liza Soberano's pick is just as dainty and adorable as she is: the Chanel CC Filigree Vanity Case. 4. A timeless choice, in our opinion. We'd love to get our hands on Kathryn Bernardo's boxy, tiny Louis Vuitton Petite Malle Monogram. 5. Blush on! 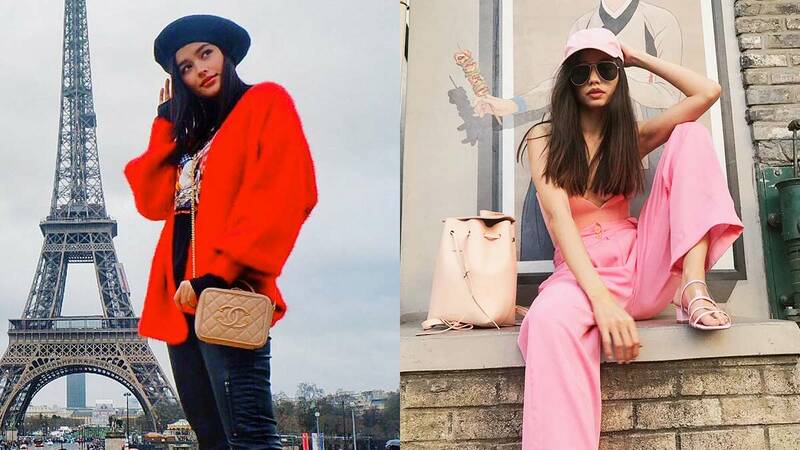 Martine Cajucom finishes off her head-to-toe pink look with the unique minimalist flourish only a Mansur Gavriel Bucket Bag can lend. 6. One of Nadine Lustre's favorite accessories? Her Saint Laurent Kate Tassel Chain Bag. 7. Here's one that goes with absolutely anything in your closet. Jess Connelly takes her black Gucci GG Marmont Matelasse with her everywhere! 8. Sarah Lahbati is the ever cool mom carrying all her daily essentials in an Off White Striped PVC Tote. 9. We've had an appreciative eye on Marc Jacobs' Snapshot Camera Bag for a while now (have you seen the gorgeous array of colors and straps?! ), and Laureen Uy is only making us covet it even more. 10. Such an interesting number. Nicole Andersson clearly adores her Balenciaga Triangle Duffle—and we do, too! 11. Kelsey Merritt has a classic on her hands. Or should we say slung across her toned torso? Either way, you'll never go wrong with the Gucci Dionysus!